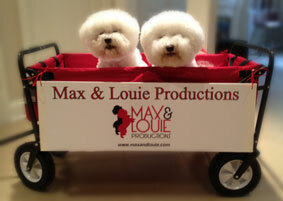 Max & Louie Productions presents the St. Louis premiere “End of the Rainbow” written by Peter Quilter, starring Angela Ingersoll as Judy Garland, directed by David New, with music direction by Thomas Conroy. It will run at The Grandel in the Grand Center Arts District, June 21 through July 1, 2018. Individual tickets are now on sale. To purchase, call MetroTix at (314) 534-1111. This St. Louis premiere stars Angela Ingersoll as Judy Garland. Ms. Ingersoll is the recipient of numerous awards and nominations recently earning Chicago’s Jeff Award, a Broadway World Award and “Top Performances” honors from both the Chicago Tribune and Chicago Sun-Times for her star turn as Judy Garland in “End of the Rainbow” at Porchlight Music Theatre. Angela will soon be seen in her up-coming PBS television concert special “Get Happy: Angela Ingersoll sings Judy Garland” which was filmed before a live audience. Rounding out the cast is Kyle Hatley as Mickey Deans, Thomas Conroy as Anthony and Paul Cereghino playing multiple roles. David New Directs with Music Direction by Thomas Conroy. Tickets for “End of the Rainbow” are available through MetroTix by calling (314) 534-1111 or in person at the Fox Box Office, 531 North Grand. Single tickets range in price from $35.00 to $60.00 for reserved seating. Booth seating with beverage and food service is available for 2-6 persons. Prices range from $200.00-$300.00.